In many cultures, beer and wine are offered to breastfeeding mothers to help them increase their breast milk supply and bring about a better let-down of breast milk. Can drinking alcohol when you're breastfeeding really help you make more breast milk? And, more importantly, is it safe? Can Drinking Beer or Wine Help Increase Your Breast Milk Supply? Studies do show that beer can raise the level of prolactin, a hormone responsible for milk production. However, since beer contains barley and hops, the reason some women report an increase in their supply of breast milk after drinking beer is most likely a result of the two known milk-making (lactogenic) items rather than the alcohol. The alcohol itself will not help you to make more breast milk. The alcohol in beer and wine can potentially get you feeling a little relaxed and, therefore, aid in the let-down of your breast milk. But, it still won't cause an increase in the amount of breast milk that you produce. Non-alcoholic beer containing barley and hops can have the same effect without the dangerous side effects of alcohol. If you do drink alcohol, an occasional alcoholic beverage is believed to be safe. However, you should avoid the regular or heavy use of alcohol as it is considered to be dangerous. Indulging in more than just an occasional drink can even do the opposite of what you're trying to do and cause a decrease in your breast milk supply. It can also have a negative effect on your let-down reflex making it harder for your milk to flow out of your breasts. And, since the alcohol will enter your breast milk, it can change the smell and taste of your breast milk. All of these issues can make breastfeeding more difficult and cause your child to take less milk during a feeding, breastfeed less often, or even refuse to breastfeed. How Does Drinking Alcohol and Breastfeeding Affect Your Baby? Drinking an excessive amount of alcohol while breastfeeding can be dangerous for your child. Studies show that babies do not sleep as well when they receive breast milk containing alcohol. Plus, studies show an association between the regular exposure to alcohol in breast milk and developmental delays in children. Understand that one drink is equal to 12 ounces of beer, 5 ounces of wine, or 1.5 ounces of hard liquor. Don't drink alcohol right before you plan on breastfeeding or pumping your breast milk. The amount of alcohol that reaches your child will be much less if you have your drink immediately after you pump or nurse your baby, instead of before. Wait two or more hours after you have one drink of alcohol before you breastfeed or pump. The amount of alcohol in your breast milk will depend on how much you've had to drink and how much you weigh. The more you drink and the less you weight, the longer it will take the alcohol to leave your body. In general, if you have more than one drink, wait at least two hours per drink before breastfeeding again. The level of alcohol in your breast milk will be much less, the longer you put off breastfeeding. 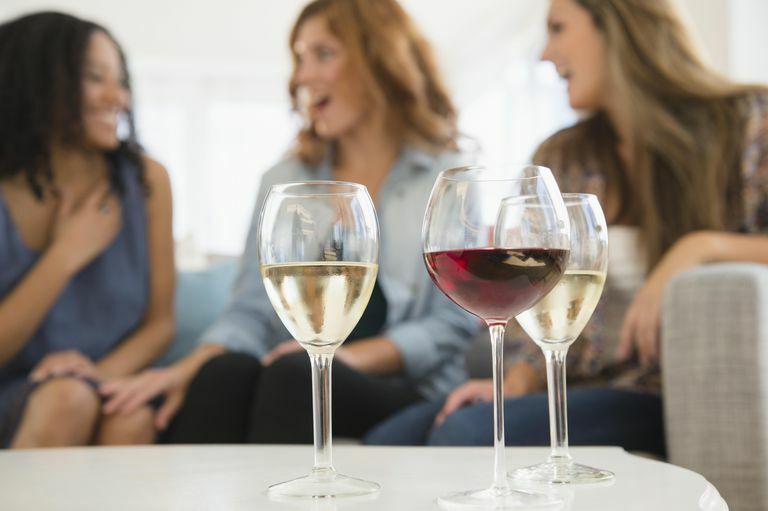 If you are going out to a special event or a having a girls night out and plan to drink more than you normally would, you may have to pump to relieve the pressure in your breasts and prevent breast engorgement while you wait until the alcohol leaves your body. Alcohol remains in your breast milk for as long as it stays in your blood. If you pump before you are sober, you can pump and dump. Do not give that breast milk to your baby. Once you feel sober again, you should be able to resume breastfeeding. If you know you will be drinking, you can collect and store your breast milk ahead of time. This way your child can have breast milk while you are waiting for the alcohol to leave your body. If you are not sober, you should not be caring for your child. Arrange for someone to care for your baby if you think you may become intoxicated. You should never place your baby in your bed to sleep with you if you are under the influence of alcohol. It can be very dangerous. If you would like to make more breast milk, there are many other, safer ways to boost your supply. You can try to increase your breast milk supply naturally and add some milk-making foods to your diet. You could also try using a nursing tea or some of the common breastfeeding herbs that have been used by nursing mothers for centuries to help increase their breast milk production such as fenugreek, fennel or blessed thistle. You should always talk to your doctor, and your baby's doctor if you have any concerns or questions about your supply of breast milk and whether or not your child is getting enough breast milk. Your doctor can also answer your questions about the safety of drinking alcohol while you're breastfeeding, and how it can affect you, your baby, and your breast milk supply. A lactation consultant or a local La Leche group are other great resources when you need assistance. Ho E., Collantes A., Kapur BM., Moretti M., Koren G. Alcohol and Breast Feeding: Calculation of Time to Zero Level in Milk. Neonatology. 2001; 80: 219-222. Koletzko B, Lehner F. Beer and Breastfeeding. Advances In Experimental Medicine and Biology. 2000;478:23-8. Little RE., Anderson KW., Ervin CH., Worthington-Robers B., and Clarren SK. Maternal Alcohol Use During Breast-Feeding and Infant Mental and Motor Development at One Year. New England Journal of Medicine. 1989; 321: 425-430. The United States Department of Agriculture. Report of the DGAC on the Dietary Guidelines for Americans. 2010. Part D. Section 7: Alcohol; 13-14.